Are you freezing already? How about a trip to sunny Phoenix, Arizona? Delta is putting this route on sale from Seattle for basic economy (regular sized carry-on and personal item included). Best dates are from November until early March (excluding the holidays.) 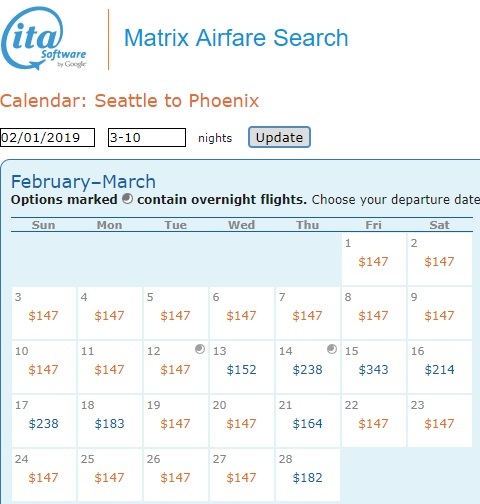 Use ITA Matrix Software to find the best dates. Book direct through Delta.com for the frugal fares!